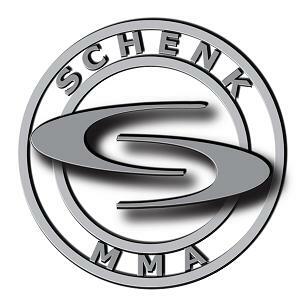 SchenkMMA is here to help Amateur Female MMA Fighters. As we continue our interview series with people who are using Twitter to make a change in Womens MMA we are very fortunate to be able to bring you an interview we conducted with MarQ. MarQ goes by many names and wears many hats online but I am sure throughout this interview you will get to know MarQ a little better and probably even go "Oh I know that guy". So without further a due lets learn more about MarQ and what an awesome job he is doing to further Womens MMA. Chris: Tell us a little bit about yourself. MarQ: I am an entertainment/mma writer for several websites including Blog Talk Radio, Examiner.com, Women Talk Sports, and especially Fightergirls.com. I have been in journalism for eight years now. Chris: How did you get interested in Martial Arts? MarQ: My parents set me up with karate classes when I was young, gaining my green belt before moving on to other things. I went into high school wrestling and gained an appreciation for jiu-jitsu. Chris: Do you currently practice and Martial Arts? If you do what belts do you hold in what Martial Arts? MarQ: A green belt in karate, and I made the Montana State Wrestling championships in my senior year at 175 pounds. I haven’t fought since then. Chris: What got you interested in MMA? MarQ: I was a pro-wrestling fan since I was young, and a friend turned me onto the UFC’s right around UFC 2 came out. Being an amateur wrestler, I gained an appreciation for jiu-jitsu through Royce Gracie and started to pick up some techniques. Chris: How did you get interested in Women’s MMA? MarQ: I interviewed Kaitlin Young on one of my entertainment shows right before her match with Gina Carano in May 2008. Once I saw the match, I got hooked. Chris: What do you do for work? MarQ: Right now I am “fun-employed”, but work part-time as the news editor and publicist for Fightergirls.com . Chris: What is the last book you read? MarQ: I re-read Diamond Dallas Page’s biography “Positively Page” a few years ago. Chris: Tell us what you like most about Twitter? and what you like the least about Twitter? MarQ: Positives - Rapid flow of information gets out news quicker, plus it s a good resource to gain news from other websites. Ideas can also be exchanged between people and fighters are more accessible. You can also meet some great people on there. Negatives – 140 characters tend to be too short to convey ideas and people emphasizing the importance of having more followers than others. Chris: Who is your favorite WMMA fighter? MarQ: “Sophie’s Choice” here lol. Roxanne Modafferi is the fighter I most relate to. She is the ultimate nerd in a good way. I have a special place for Michele Ould and Tonya Evinger. I got to hang out with them and they are the coolest people ever. Chris: What is a normal day in your life like? MarQ: Depends on the day. I am a night owl, so I am usually getting up in the afternoon, checking twitter and the forums for WMMA news, and checking my e-mail. Sundays and Mondays are broadcast days for me; “Women Talk Sports” and “Sportsgeeks” Sunday, and “Somewhere in Vegas” Mondays. Non-broadcast days I am usually writing stories for Fightergirls.com or the Examiner, and booking guests for the podcasts. Late Saturday nights I am writing and pre-recording the Fightergirls podcast, plus writing the Fightergirls syndicated column and send it to various websites. Chris: What is one of your life motto’s you try to live by? MarQ: If you want to do something, you will find a way. Chris: Who is someone you look up to in the MMA world? MarQ: Royce Gracie. It’s not the size of the dog; it’s the size of the fight in the dog. Chris: If money wasn’t a concern what would you want to do? MarQ: I would be a filmmaker. I would do both comedies and documentaries. I would also like to travel to WMMA events around the world and cover them. Chris: If you could sit down and talk to one WMMA fighter who would it be and why? MarQ: It is a privilege to work with Fightergirls and to co-host “Sportsgeeks”. I have talked with some of the most predominant females in the sport, including Gina Carano. I wish I could speak Portuguese so I could talk to Cyborg. I know I want to interview Ronda Rousey sometime down the line. Chris: Where do you see yourself 5 yrs. from now? MarQ: I would like to be working for Fightergirls full time, maybe open my own women’s sports store online. Chris: If you could see one WMMA fight right now today who would it be between? And why? MarQ: I have been pushing for Gina Carano and Cindy Dandois – it’s a marketable fight for Strikeforce. Chris: If you could work for one of the major MMA promotions today who would it be and why? MarQ: If I could be the female booker for Strikeforce I would be a happy camper. Although Richard Chou is doing a great job, some of these WMMA matches aren’t being booked correctly. Plus the marketing of the women isn’t as good as it should be. WMMA would be bigger if Strikeforce developed back stories and made these matches seem important. Chris: List your top 15 people you like to follow on Twitter and why. @MMARising – Rob is a little more connected than I when it comes to promoters so he breaks bigger news more often. @Sportsgeek – My co-host and fellow podcaster. He is working hard to develop wmma and women’s football. @wmmaroundup – If I were ever to do a legitimate WMMA tv show, Kristen would be my producer. Her videos are thoughtful and insightful. @TaraLaRosa – One of the best 125 pounders in the world. @Fightchix – They maybe in the same line of business, but they support WMMA and they do a great job of it. Chris: If you could meet one person from Twitter that you currently follow but have never met in person who would it be? And why? MarQ: I have yet to meet my co-host Rammy from @Sportsgeeks in person even though we have known each other for three years now. Chris: What drives your passion for WMMA? MarQ: The fighters have such a passion for it, which makes me passionate. These women tend to be more aggressive than the guys, and want to bring a great fight to you. They also do it for many reasons – family, competition, respect to name a few. As many times I interview them, the more I become a fan. Chris: What is your favorite blog that you read at least a couple of times a week? MarQ: News website or blog? If you mean blog – gotta go Roxanne Modafferi’s. Chris: What is the main thing you use Twitter for? MarQ: News gathering and re-tweeting. Chris: Is there anyone you would like to thank or send a shout out to? MarQ: Debi Purcell for giving me the opportunity to write for Fightergirls. Rammy from “Sportsgeeks” for helping me take WMMA interviews to a whole other level. Rob from MMA Rising who is always in the know. And of course, all the female fighters that have given me the opportunity for me to get to know them. Thanks for your comments they are always appreciated. If you are interested in any of our Services please contact us.